Edward Henry Windley became the Governor-General of the Gambia on the 19th of June, 1958. He held that position until 29th March, 1962. While he was in office, another constitution was introduced in 1960. The main features of the new constitution were improvements upon the previous one in 1954. The new constitution made provisions for the creation of a House of representatives. In all, nineteen elected seats were created, twelve for the Protectorates and seven for the colony. Eight seats were created for the chiefs. The Governor-General was also a member. There was a position for the Speaker of the House. The Speaker was appointed by the Governor-General in consultation with the members of the House. Other members of the House of Representatives included, the Civil Secretary, the Financial Secretary, the Attorney-General and the Commissioner for Local Government. Three additional members were nominated to the House. The constitution made provisions for the position of a Speaker of the House of Representatives. The Speaker was to be appointed by the Governor-General after consulting members of the House. A provision was made for the creation of the post of a Chief Minister. This position was similar to the position of a Prime Minister. However, the chief Minister was not appointed until March of the following year when Governor-General Windley appointed Pierre Sarr N’Jie as the Chief Minister in March 1961 after securing the support of the majority of the chiefs in the House of Representatives. The Chief Minster was the Head of the Executive. The judiciary was headed by Joseph Wiseham, who had been the Chief Justice since 1957. He was responsible for supervising the administration of justice in the entire colony and protectorate of the Gambia. One of the significant aspects of this constitution was that it name of the Legislative Council was changed to the House of Representatives and the membership was greatly expanded and diversified. Another significant part of the constitution was that the number of elected members was increased. There were, under the constitution, nineteen elected seats. Twelve constituencies were created under the constitution for the protectorates and seven constituencies were created for the colony. The creation of the position of a Chief Minister was a novelty. This was the first time the position was created. However, the appointment of a suitable person to fill the position was not to have been until March, the following year. Pierre Sarr N’Jie was appointed by the Governor-General as the Chief Minister. The constitution was also significant because, for the time, every adult was eligible to vote in the elections. This marked the beginning of the introduction of the universal adult suffrage into the body politic of the Gambia. However, the universal adult suffrage was not absolute, like all others. People not with sound mind, for example, were not eligible to vote. Though it is true that an African had been appointed to head the Executive, full self-government had not yet been attained at this point. The Governor-General was still in full control of the colony. The Chief Minister must still look up to him in the taking of major decisions. He had to continuously look over his shoulders to check if what he was doing was in line with the policy directions of the British, represented by the Governor-General. 1. a. 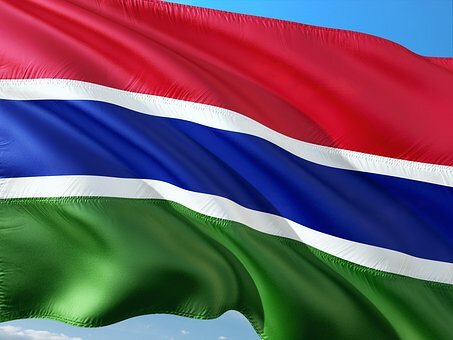 What were the major features of the 1960 constitution of the Gambia? b. Highlight four significant improvements of the 1960 constitution over the 1954 constitution.